The development of this high-tech plant covers an area of eight (8) acres of main office and administrative building. The remaining six (6) acres are divided into several areas such as high-tech water waste treatment plants, logistics docking bay, staff / visitor parking and security office. This main plant is also equipped with a variety of infrastructure and facilities such as Product Research laboratory (according to international standards), Product Development Department, an auditorium with the capacity of 300 guests and a visitors viewing deck. Construction of this main plant is divided into two phases. The first phase will focus on the production of burger, frankfurter, nuggets and meatballs, while the second phase will complete the entire six production lines. Production capacity for each production line is five tons of raw material per hour. This main plant operates in automation and within the scope and technology achievement of the Industrial Revolution 4.0. 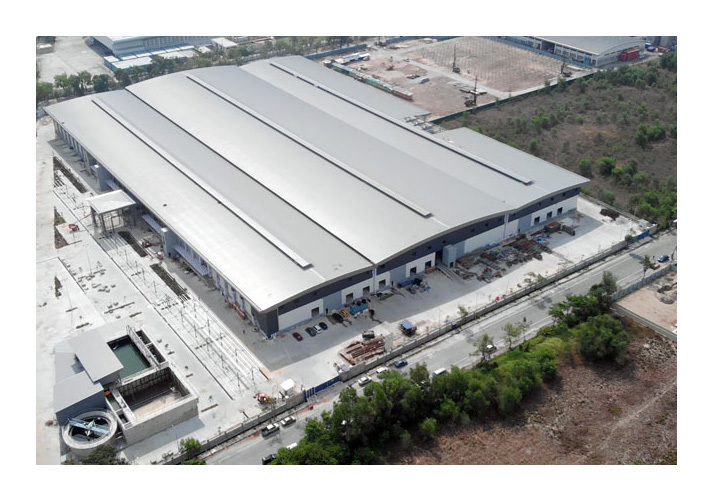 It will be a proud and brilliant achievement for the Ramly Group and a landmark for high – performance factories in Southeast Asia.